George Apostolides is a partner in the firm's Chicago office. His practice focuses on business and bankruptcy litigation, and he handles cases in federal and state courts both in Illinois and nationwide. 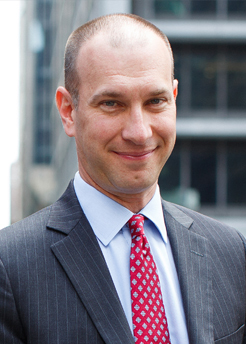 He has practiced with the firm since his graduation from Northwestern University School of Law in 1995, and has years of experience managing business risk for his clients, litigating disputes, and, if necessary, taking cases to arbitration or trial. George's clients range from Fortune 500 companies to small businesses and individuals. He provides a range of services for those clients, including litigation avoidance consulting, prosecuting claims for damages, and defending cases filed against the clients. His focus is always on his clients' needs and interests in both the short and long term. In addition, he has handled tort cases from his earliest days as an attorney and has experience handling insurance and liability issues. Copyright © 2019 Saul Ewing Arnstein & Lehr LLP, A Delaware Limited Liability Partnership. All Rights Reserved. | Under the rules of certain jurisdictions, this communication may constitute "Attorney Advertising."